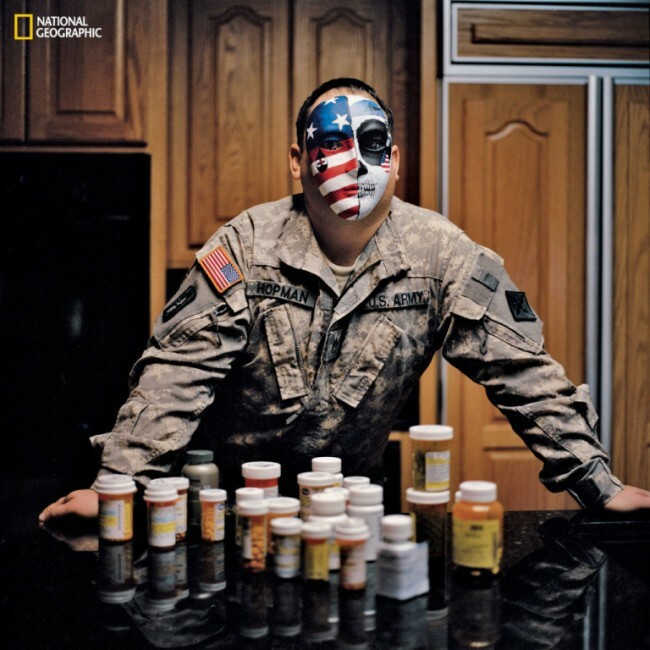 The cover story of National Geographic magazine’s February issue, “The Invisible War on the Brain,” takes a close look at a signature injury of the Afghanistan and Iraq Wars—traumatic brain injuries (TBIs) caused by the shock waves from explosions. TBIs have left hundreds of thousands of U.S. veterans with life-altering and sometimes debilitating conditions, the treatment of which can be extremely complicated. 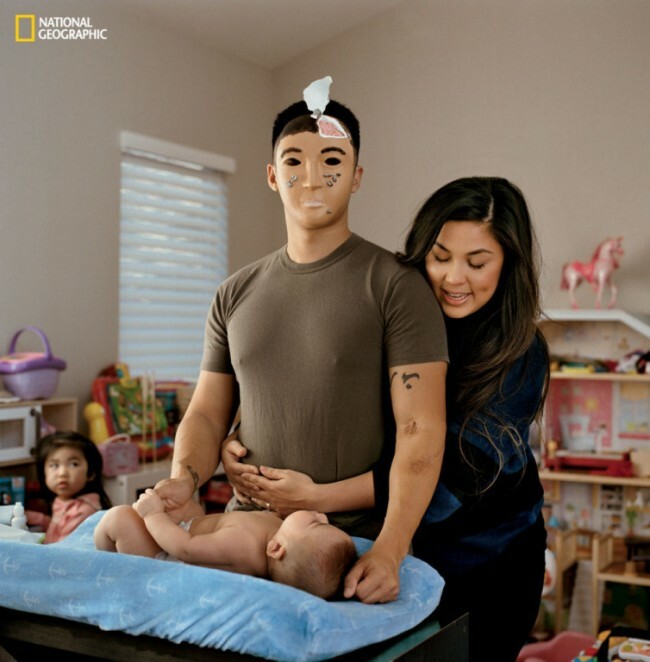 At Walter Reed Medical Center in Bethesda, Maryland, soldiers paint masks that help them cope with their daily struggles and help them reveal their inner feelings. 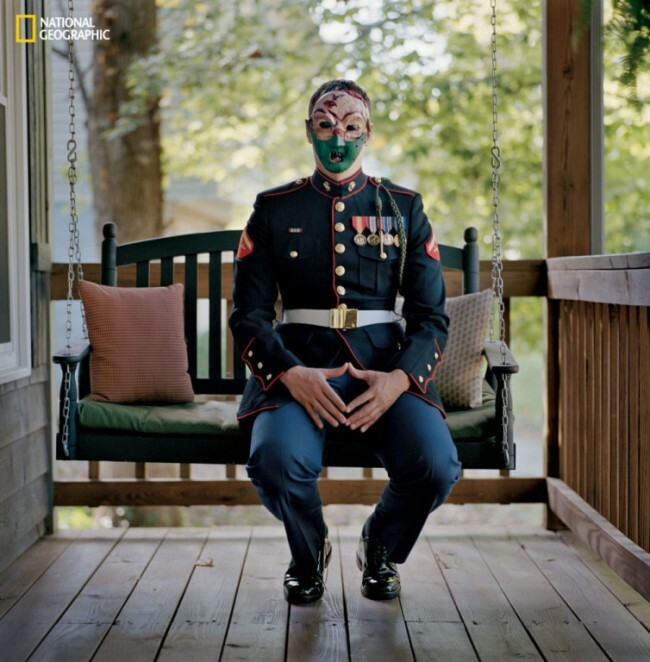 We invite you to see the service members’ masks and read the full story here. Tiffany H., as she prefers to be known, was “blown up” while helping women in a remote Afghan village earn additional income for their families. Memory loss, balance difficulties, and anxiety are among her many symptoms. The blinded eye and sealed lips on her mask. I can’t imagine. The war never leaves the warrior. I wish I understood it. War. Maybe I could do more for our veterans. Many men lost their hearing and their minds from the explosions of guns that they were manning.